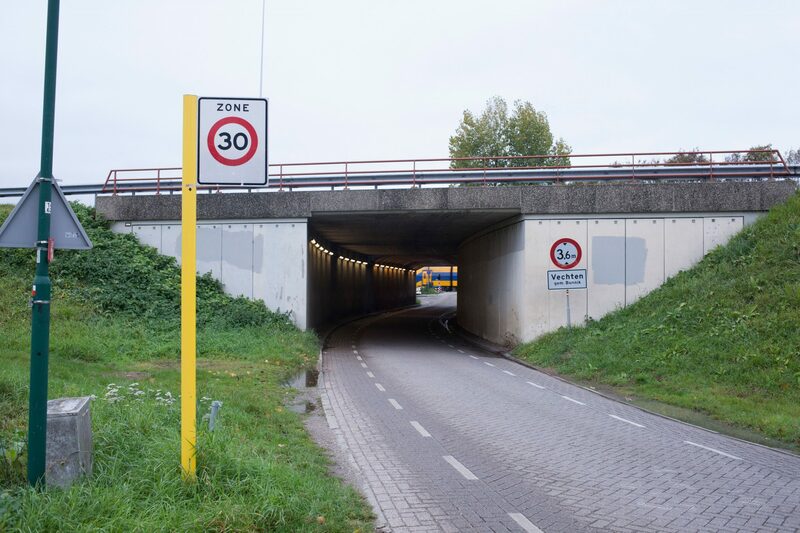 Bart Lunenburg will make a final design for the artwork at the tunnel near Vechten. After a pop up exhibition at the Waterliniemuseum Fort bij Vechten, where the designs by Kris Borgerink, Bart Lunenburg and Lenneke van der Goot were on display, the advisory commission chose Bart Lunenburg’s design. The artist will now further develop it, in close consultancy with the Province of Utrecht, the municipality of Bunnik and the Department of Waterways and Public Works. The visitors of the exhibition noted the timelessness of the design and the fact that the Roman Limes as well as the New Dutch Waterline can be easily recognised as such. The advisory commission thought the design stood out and was playful, the image was clear and familiar and interesting both from afar en up close. Bart Lunenburg (Utrecht, 1995) grew up in Houten and graduated in 2017 as a photographer at the Hogeschool voor de Kunsten in Utrecht (Utrecht School of Arts). Lunenburg is fascinated by how people connect with their daily surroundings and how they shape it with architecture.